Two years under the Duterte administration, the P8.44-trillion infrastructure agenda has not come full swing, with government data showing that infrastructure spending accounted only to 4.4 percent of gross domestic product last year, below the 5.32 percent target. 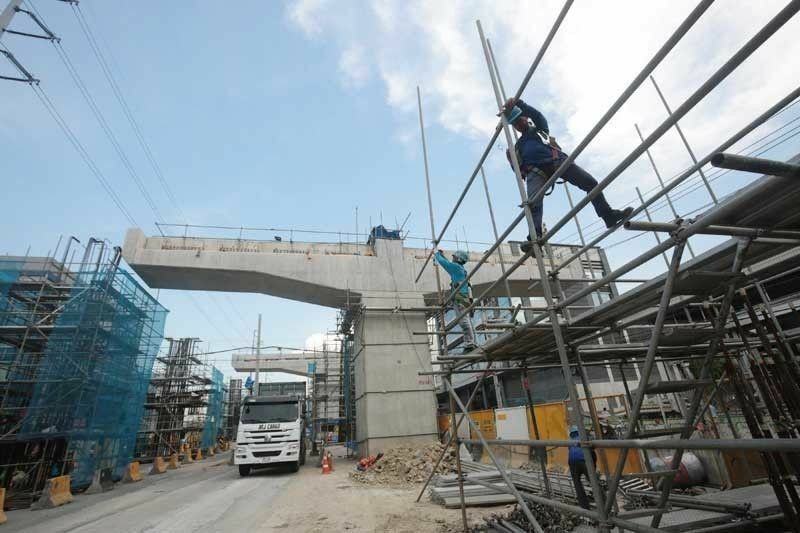 MANILA, Philippines – Economic officials asked the public on Tuesday to be patient as delays hit the government's much-touted P8.4-trillion infrastructure program. "When we came in, there are no pipeline of projects... Practically zero. So we have to do our own feasibility studies and these take time," Finance Secretary Carlos Dominguez told reporters on the sidelines of a forum organized by business journalists. Public Works Secretary Mark Villar agreed, saying that for his department alone, "we spent two years" doing studies on more than 4,000 capital outlay projects under the "Build, Build, Build" program. The billion-peso undertaking is crucial to the Philippines, which has been infamous for its decrepit infrastructure that resulted in heavy traffic, logistical difficulties and threaten the sustainability of its economic growth. Few developments had also been reported on the 75 big-ticket infrastructure projects, some of which are funded by China amid rekindled relations between the Manila and Beijing under President Duterte. Duterte set aside Manila's historic arbitration win in the West Philippine Sea in exchange for economic deals with China, but more than two years on, there had been little proof benefits from better relations are flowing in. Dominguez admitted there had been "roadblocks" on the flow of Chinese aid, particularly China's hesitation to co-finance certain projects with other lenders as well as using renminbi in aid disbursement instead of US dollars. These issues had been resolved already during the visit of economic officials to Beijing last week, he said. "We are very happy with our progress," the finance chief said. For his part, Transportation Secretary Arthur Tugade said the government is doing its job to improve the country's transportation system even without fanfare. "Just because we do not publicize it, doesn't mean we are not doing anything," he said in the forum.